Axiom MRC’s client base includes a number of Fortune 500 companies across a range of industries including Healthcare, Chemicals & Materials, Food & Beverages.etc. We take pride in having them as our customer and value our relationship with them. Our increasing client base, gives us the confidence to do more and also helps us to add to our wide network of key industry professionals, who help us to track various industry markets. 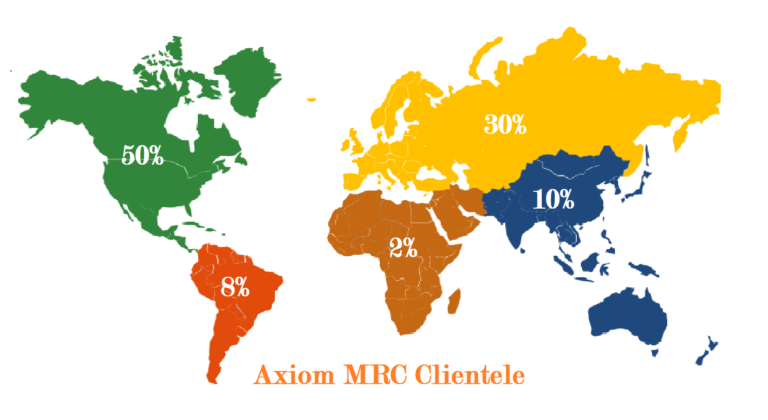 With this global footprint, Axiom MRC has been able to create a niche for itself in a short span of time.